"Stuhl perceives climate change as an issue of human rights. It is simply the latest destructive incursion of the outside world; a tale of extraction and exploitation, of scientific, commercial, and colonial incursions that have pushed local people to the margins. The book puts a sharp focus on the far northern and western rim of the North American continent—Alaska and Canada—within a defined time period from 1881 until 1984. Stuhl examines environmental transformation in that part of the Arctic case by case in succeeding chapters, in an appeal to study the human history of the Arctic as an extranational phenomenon. 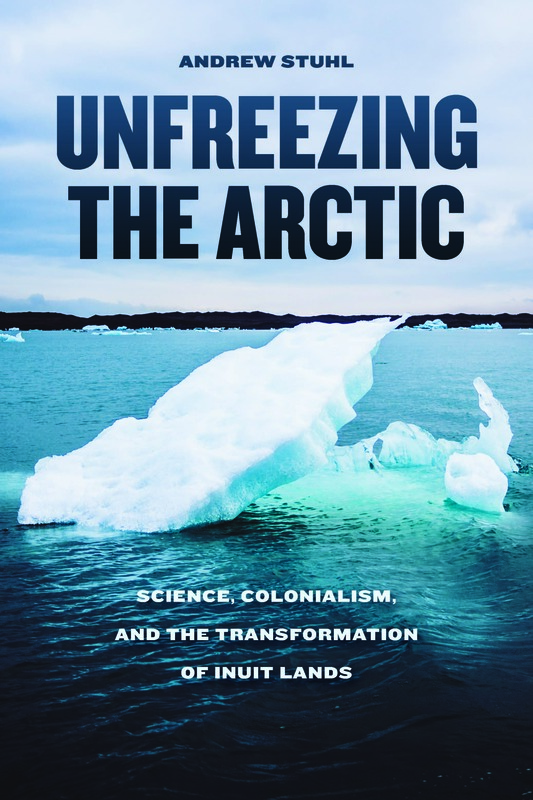 The book is detailed and richly informed, not only by the thoroughness of its library research, but also by the author’s personal on-site experience living and working in the Arctic environment. Arctic specialists will want to devour it. Essential." "Unfreezing the Arctic is a worthy addition to the recent wave of work on northern history. By ‘‘unfreezing’’ Andrew Stuhl means rejecting the notion of a North frozen in time — a sentiment certain to find hearty agreement among northern scholars. He also joins other historians in presenting a transnational view of the north, and emphasizing the evolving social and political roles of science. Bridging the histories of colonialism, resource management, military activity, and Indigenous self-determination, Stuhl focuses on Alaska and northwest Canada, including the Beaufort Sea, Mackenzie Delta, and surrounding region." "Stuhl animates, or 'unfreezes,' this history to bring it into the present—in other words, to place the Arctic back in time."